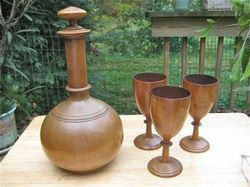 From our wide consignment, we are affianced in supplying Wooden Decanter. In order to meet excellent quality standards, we are supplying Corporate Wooden Decanter. In order to meet excellent quality standards, we are supplying Wooden Decanter. 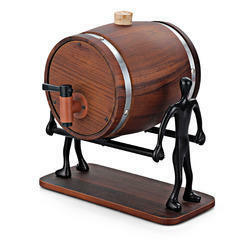 We are amongst the most reputed names in the industry, offering Wooden Decanter. Printed Bar Accessories Are Popular To Give Away As A Gift. Bar Accessoriess Are Excellent Promotional Items And An Eye-Catcher For Your Business. Brand My Brand Offers Wide Selection Of Printed And Unprinted Promotional Corporate Products, Bar Accessories And Gifts. We have engaged ourselves in offering Wooden Decanter, which is highly demanded owing to their finish. These products are developed at our refined unit by using best quality raw material. Offered product range is used mainly in temples for lightening the temple on various festivals. We are a top-notch organization, engaged in providing Wooden Decanter.